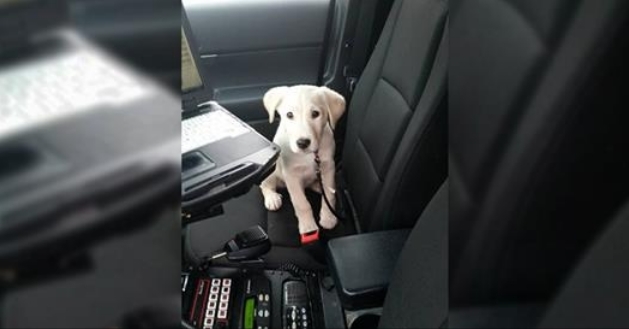 Thanks to the kindness of two Ohio police officers, a needy puppy will be protected and served for a lifetime. 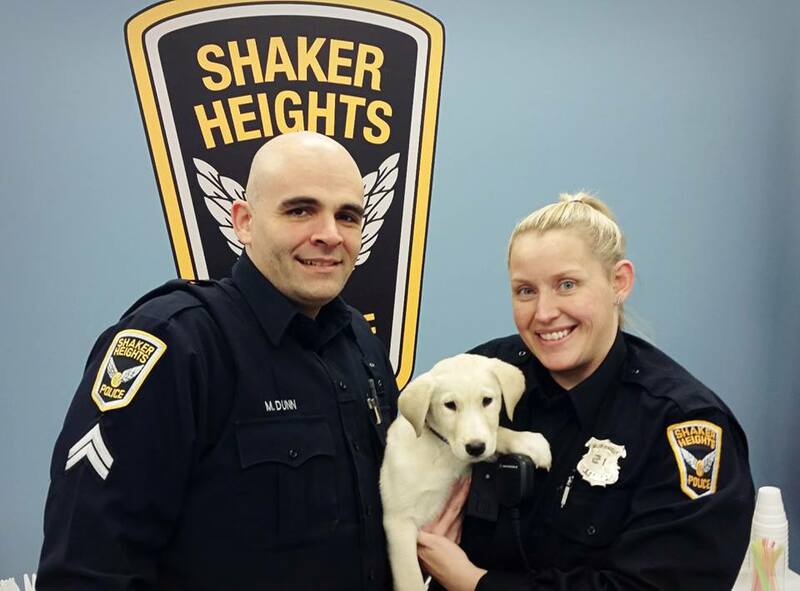 After being alerted by a family who, due to "heartbreaking circumstances," was no longer able to care for their dog, Officer Laura Clague, of the Shaker Heights Police Department, stepped in to help. 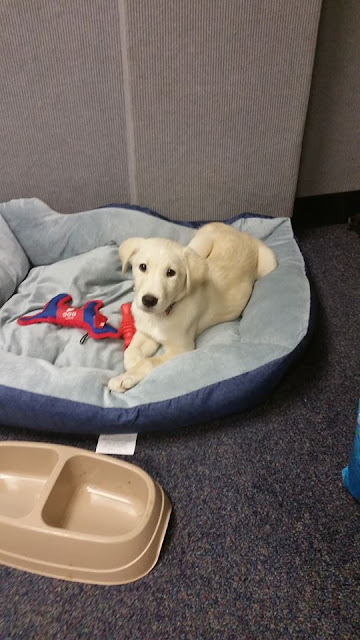 Though finding accommodations for needy puppies isn't exactly part of her duty as a member of law enforcement, Clague didn't hesitate. She rescued the animal in her patrol car, promising the family she would "find a better solution than the animal shelter or trusting a stranger." 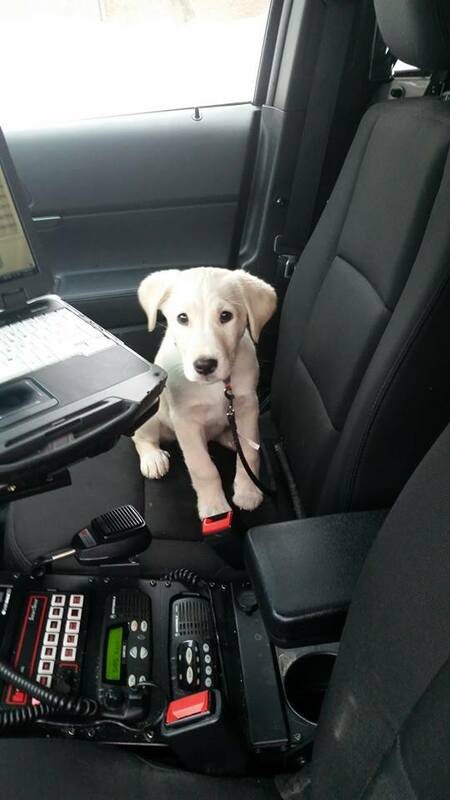 Once back at the station with the puppy in tow, Clague started making phone calls to see if someone she knew might be interested in giving him a home. That's about the time her colleague Officer Matt Dunn walked in. "Thanks for trusting us to do the right thing." Responses to "Police Officer Picks Up Needy Puppy So He Won't Be Sent To Shelter"
A little ways to go yet, but will make a fine police companion, once trained.